"Electricity is the key to a modern economy. We want to make it a keystone to administration, where after so many generations, we will be masters in our own home" (translation). 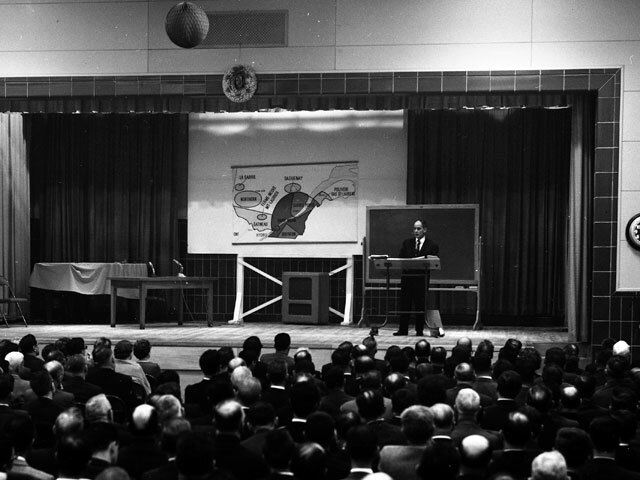 Jean Lesage during a speech on September 30, 1962, quoted by Jacques Lacoursière in Histoire populaire du Québec, Volume 5: 1960 à 1970, Sillery, Septentrion, 2008, p. 70. There is no doubt that the nationalization of electricity in 1963 was a focal event of the Quiet Revolution. 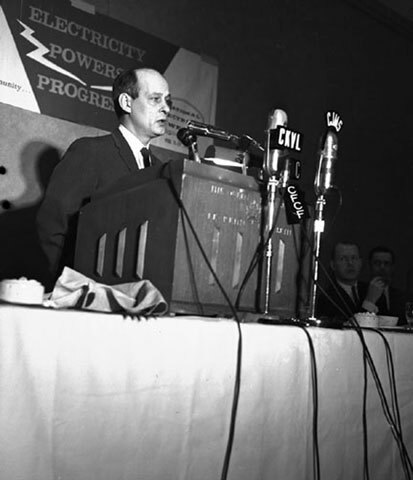 The process was begun in 1944 under the Liberal government of Adélard Godbout with the nationalization of Montreal, Light, Heat & Power that had amassed consumer complaints for several decades. Hydro-Québec was born, but the territory served was limited to the region of Montréal. 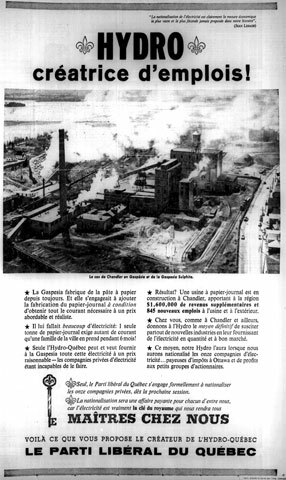 The production and distribution of electricity elsewhere in Quebec was under the direct control of some ten foreign companies, with Shawinigan Water & Power being the most important. 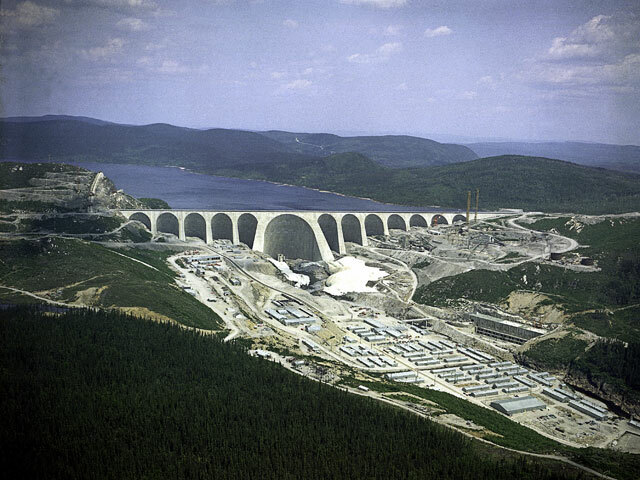 The nationalization of hydroelectric power was a matter of concern throughout the 1950s, but an issue in which the Union nationale government refused to intervene. Under the Liberal government of 1960, then Minister of Hydraulic Resources René Lévesque, had a completely different view of the question. In his opinion, "Electricity was fundamental for Quebec and needed to constitute a well-integrated asset. The unification had to be achieved by Hydro-Québec" (translation). 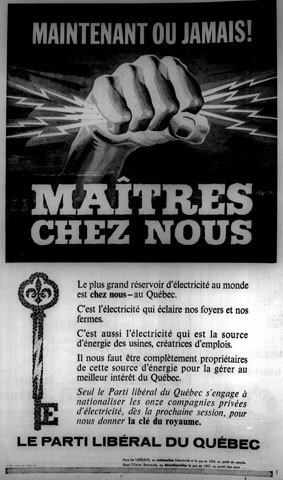 As of 1961, Lévesque made the nationalization of electricity his watchword. His project was opposed by many, even among the Liberal troops and the Cabinet. Lévesque patiently rallied more and more people around his opinion. The question even became the main issue of the elections of November 14, 1962. 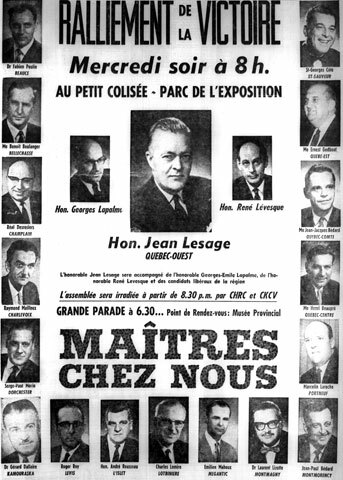 Along with his minister, Liberal Party leader Jean Lesage, proclaimed loud and clear from every pulpit: "Now or never, masters in our own home" (translation). 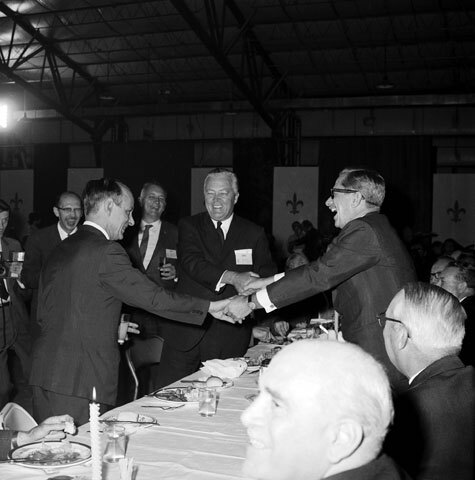 The Liberals were carried to power with a comfortable majority and the eleven private electricity companies became the property of Hydro-Québec in 1963 at a cost of over $600 million. 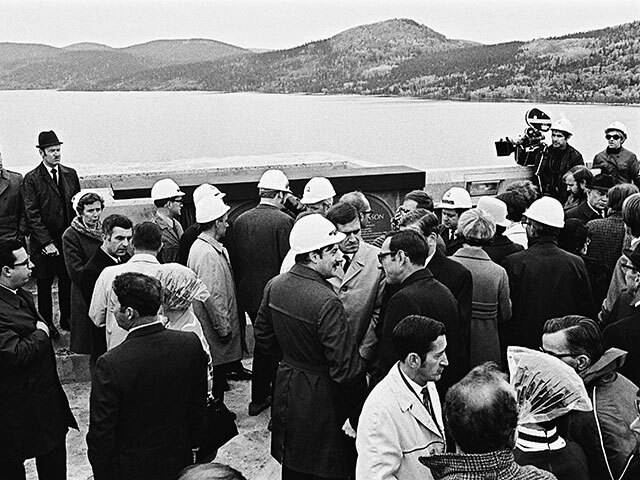 Under the effect of nationalization, the number of employees working for this state-owned corporation rose to 14,000, compared to 8,900 earlier, and senior management positions were now held by French Canadians. 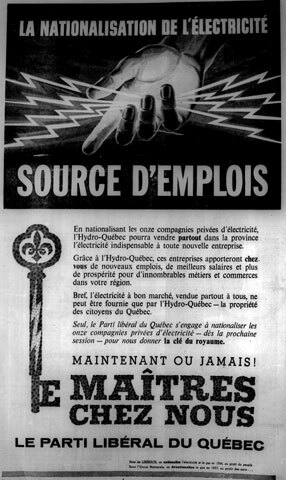 Nationalizing electricity was an economic decision that led to better regional service in Quebec, particularly in remote locations. It also served to smooth regional development. The eminently political decision bore witness to the will to appropriate natural resources and showcase emerging nationalism.